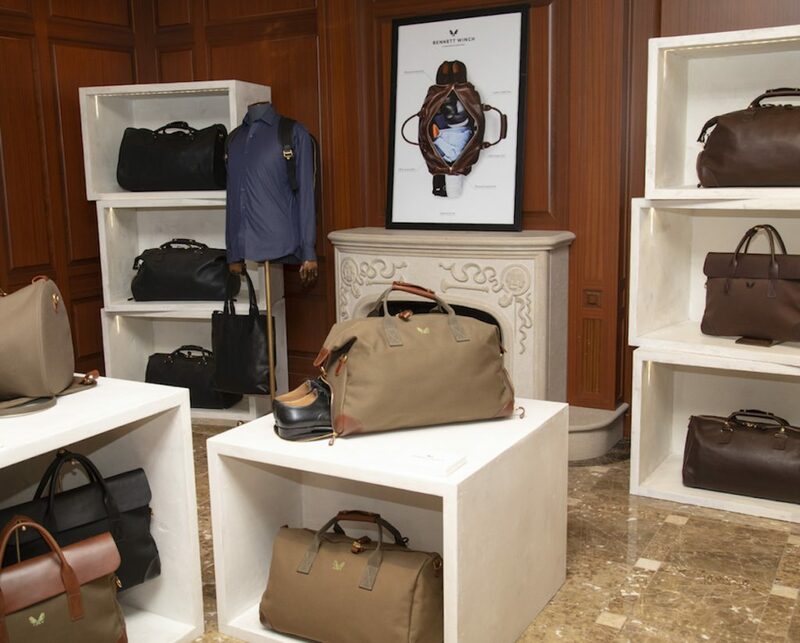 Luxury luggage label Bennett Winch has planted its first own retail roots on American soil. 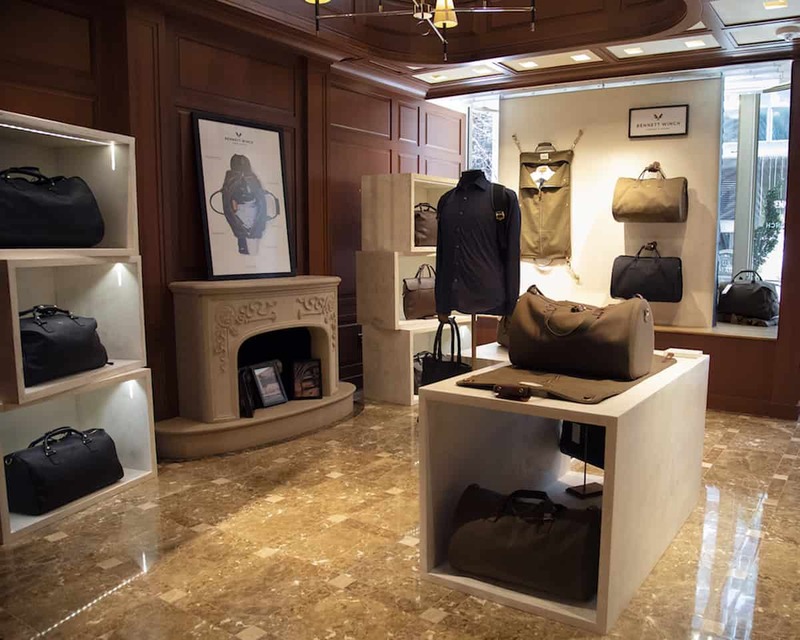 The five-year-old British accessories company unveiled its new shop-in-shop on the first floor of the Turnball & Asser Townhouse at 50 E. 57th Street earlier this week. It stocks the complete Bennett Winch collection of leather and canvas offerings and is the most substantial representation of the brand on the west side of the Pond. Keeping with that idea, the shop incorporates leather, canvas and concrete to stand out against the dark wood tones that prevail in the Turnball & Asser space. All Bennett Winch merchandise is handcrafted exclusively in England and comes with a lifelong complimentary repair guarantee.